Launched: 13 August 2011. Last updated: 21 November 2011. 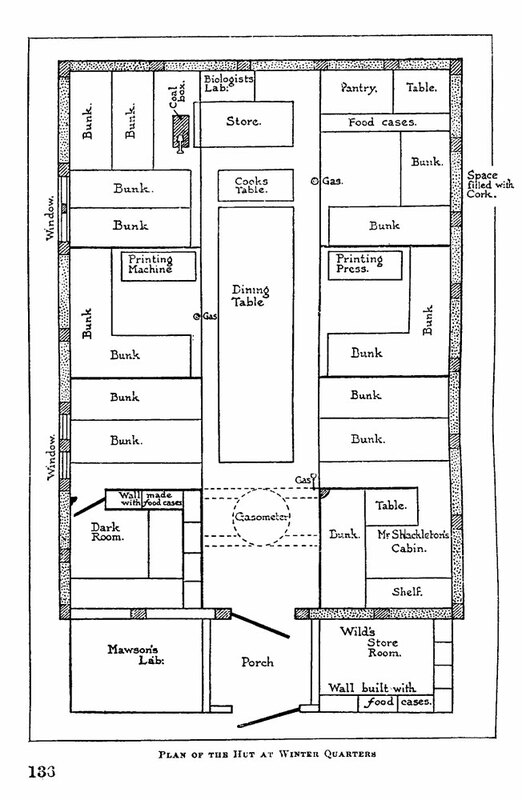 Two presses were taken to Cape Royds: an Albion printing press ("printing machine" in the hut plan below) and an etching press ("printing press"). They were supplied by the London firm of Sir Joseph Causton & Sons Ltd as were the type, ink, paper, aluminum plates and other supplies. 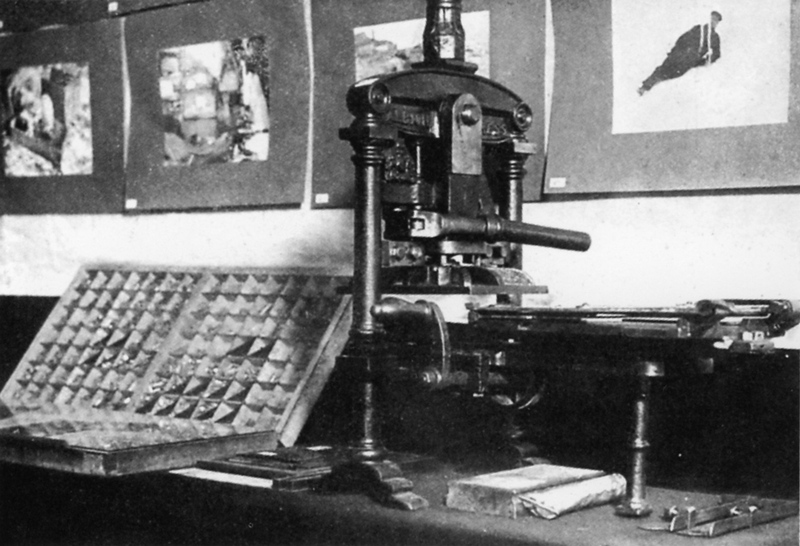 We know that the Albion press was brought back to England because it appeared at the Exhibition along the Embankment in 1909 as shown in the photo below from The Illustrated London News. Its whereabouts now is not known. In later years people at Causton & Sons were of the opinion the press had been stolen. "The firm of Caustons' was established in London, and by 1886 had its Head Office at 9 Eastcheap EC and works at SE and New Court, Carey Street WC. It had become a limited company by 1896 (the 60th AGM was held in 1956). The main print works moved to Eastleigh in 1936, although a London head office was maintained, at 9 Eastcheap until about 1936, then at Brettenham House, Lancaster Place, and from about 1944 at 72 Fleet Street. By the 1980s Caustons' principal operation was envelope manufacturing; this was sold to Rexam and become known as Rexam Envelopes Caustons. In 2000 Caustons' manufacturing operation was amalgamated with Rexam Envelopes McCorquodales and transferred to Rexam's plant at Milton Keynes." 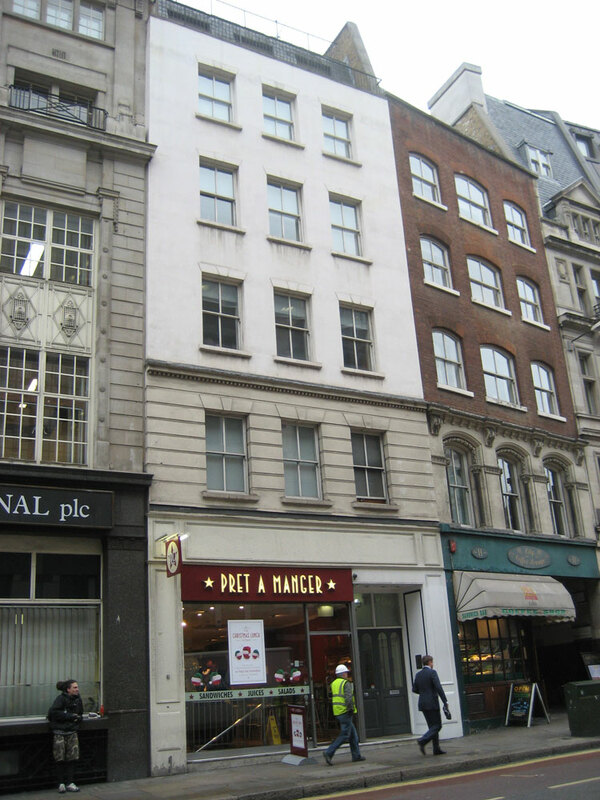 9 Eastcheap, the home office of Caustons, in 2011. 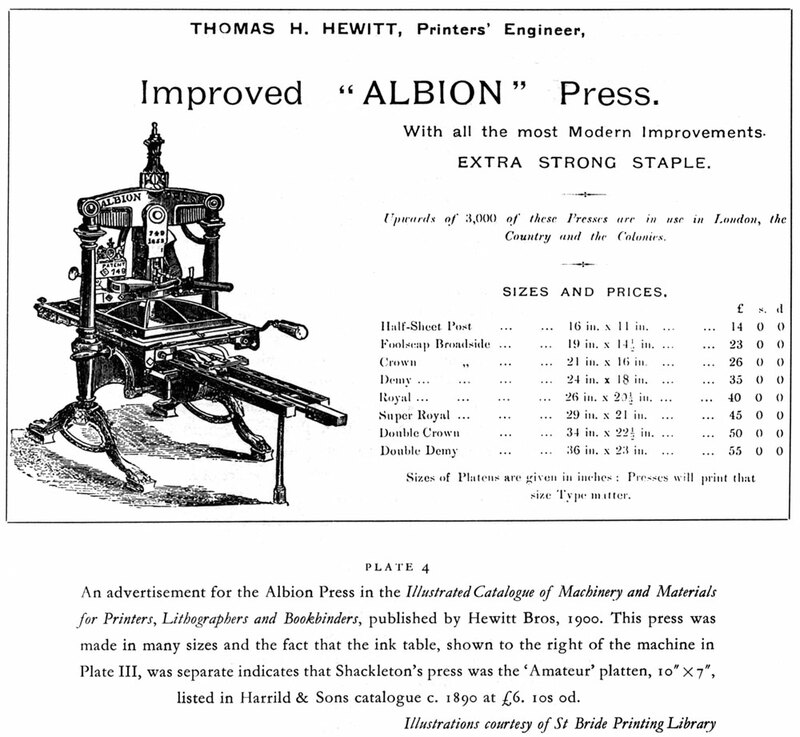 "The Albion press is a model of early iron hand printing press, originally designed and manufactured in London by Richard Whittaker Cope (d. 1828?) around 1820. It worked by a simple toggle action, unlike the complex lever-mechanism of the Columbian press and the Stanhope press. Albions continued to be manufactured, in a range of sizes, until the 1930s. 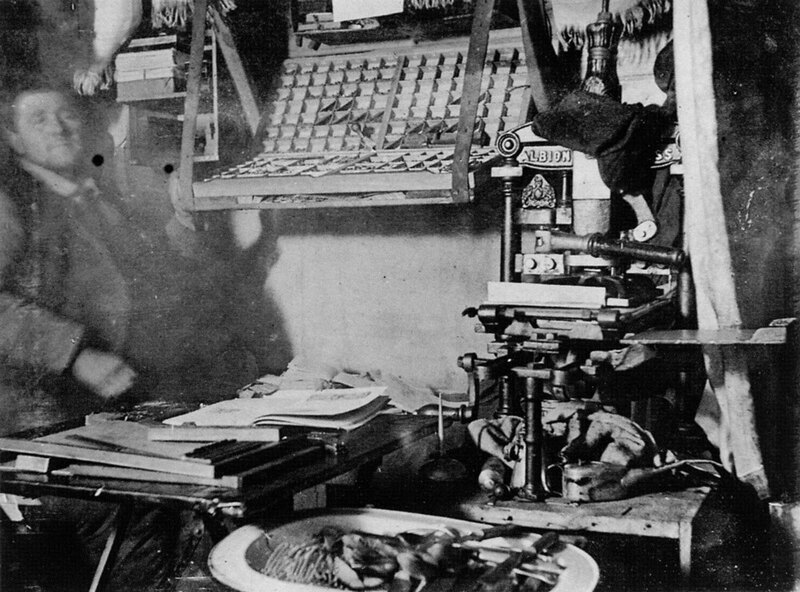 They were used for commercial book-printing until the middle of the nineteenth century, and thereafter chiefly for proofing, jobbing work and by private presses. 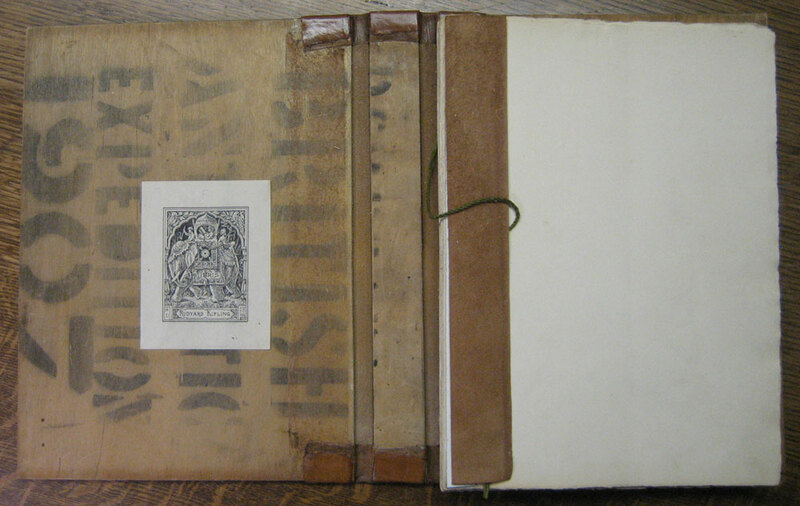 Francis Meynell often used an Albion to take proof impressions of his designs for Nonesuch Press books, and printed some small books and ephemera using the press. After Cope's death, Albions were manufactured by his heirs and members of the Hopkinson family (trading initially as 'Jonathan and Jeremiah Barrett' and later as 'Hopkinson and Cope'), who are said to have improved the design. From the 1850s onwards Albion presses were manufactured under licence by other firms, notably Harrild and Sons, Miller and Richard, and Frederick Ullmer Ltd. The toggle-action, and the distinctive shape and 'crown' finial of the Albion, make it instantly recognizable." Source: Illustrated London News, 9 October 1909. 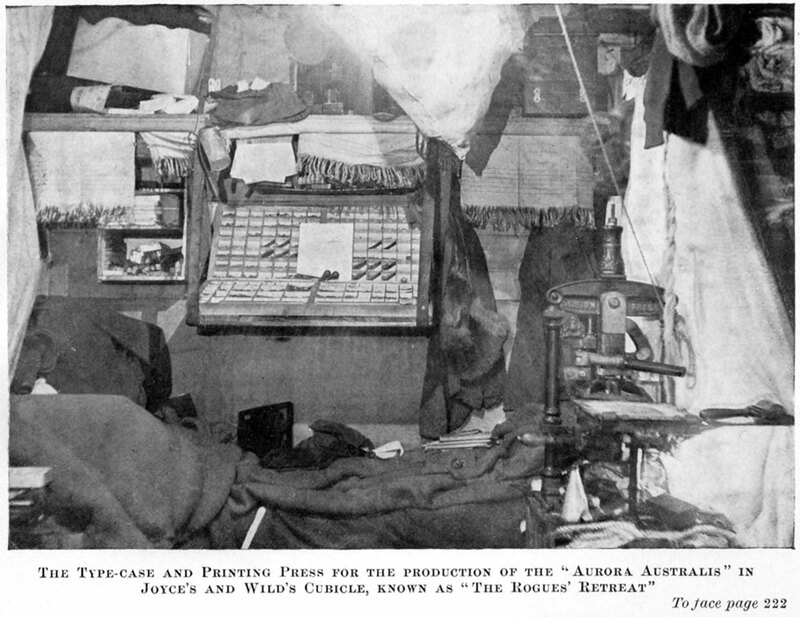 The paper used in the Aurora Australis was ABBEY MILLS GREENFIELD. The watermark features a three-pronged crown. 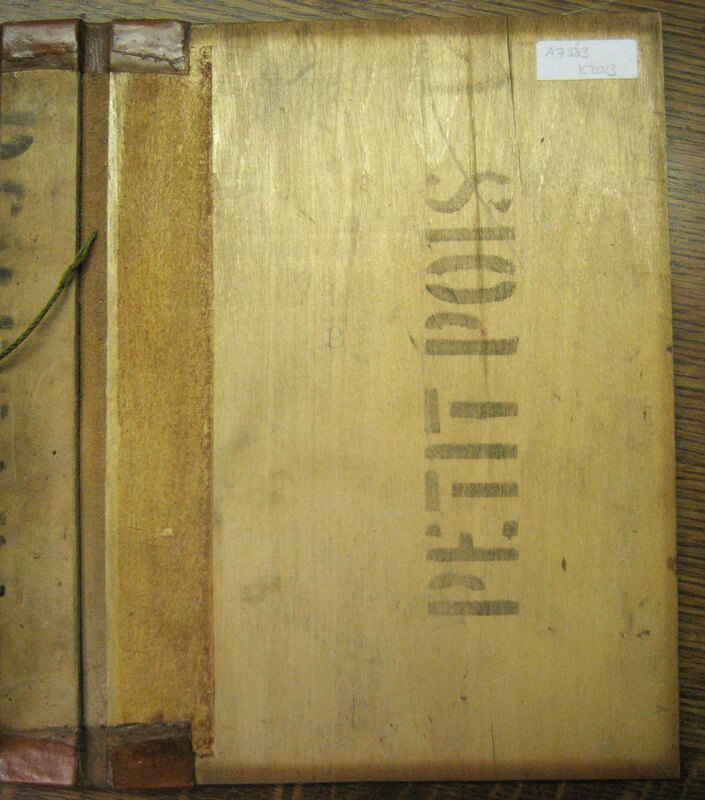 It was a paper used frequently over many years for high quality book printing. 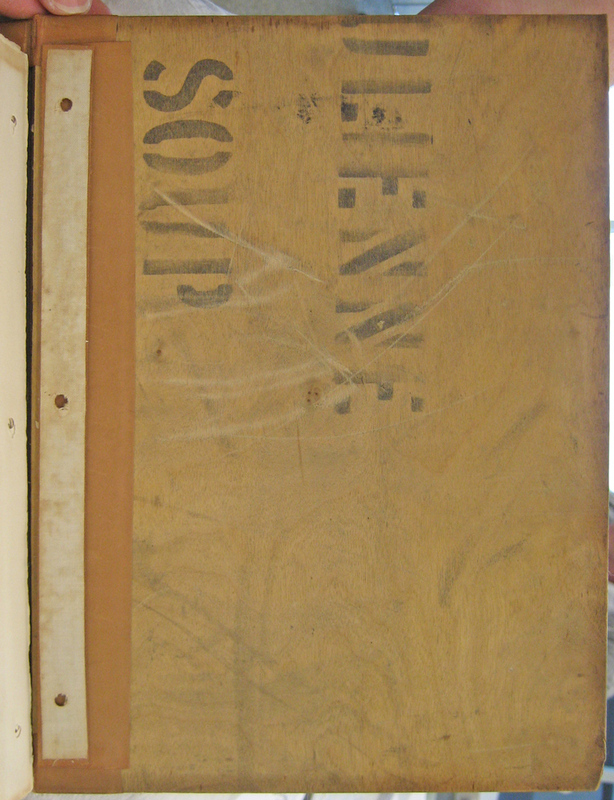 Supplies of the paper still exist at Cape Royds. The dimensions of the paper sheets used in the Aurora was 7-1/2 inches—190mm—wide by 10-1/2 inches—267mm—tall. The sheets had deckle edges (as opposed to a cut edges). "The firm of Grosvenor, Chater & Co was established by Robert Grosvenor, a wholesale stationer in Leadenhall Street, London. The evidence for its founding in 1690 is uncertain, but it is believed that Robert Grosvenor was one of the earliest suppliers to the Bank of England, incorporated in 1694. From 1765 to 1851 the headquarters of the firm were at 11 Cornhill. In the latter years it moved to Cannon Street, where it remained until 1974. In 1790 Eliezer Chater became a partner. The firm became known as Grosvenor, Chater & Co in 1804. 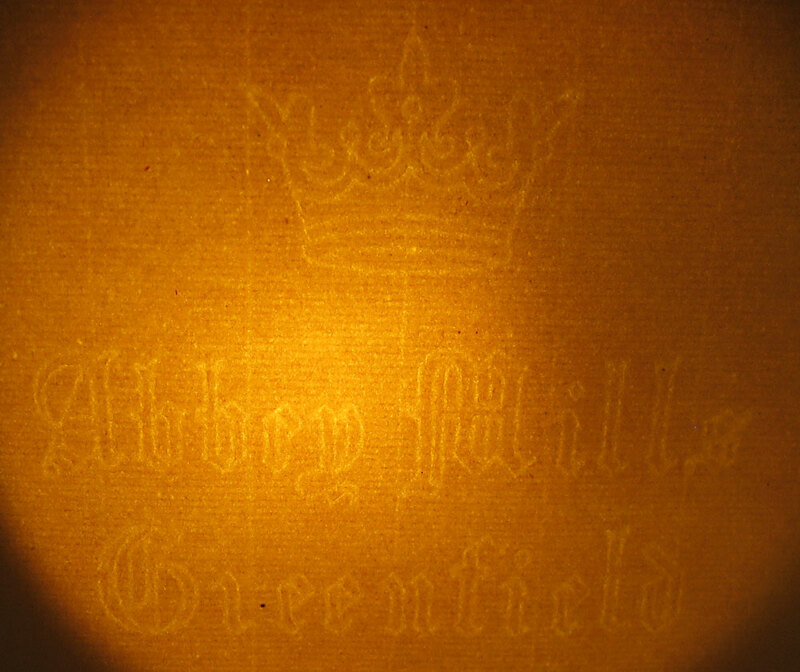 The firm acquired the Abbey Mill in the Greenfield valley at Holywell in 1854. 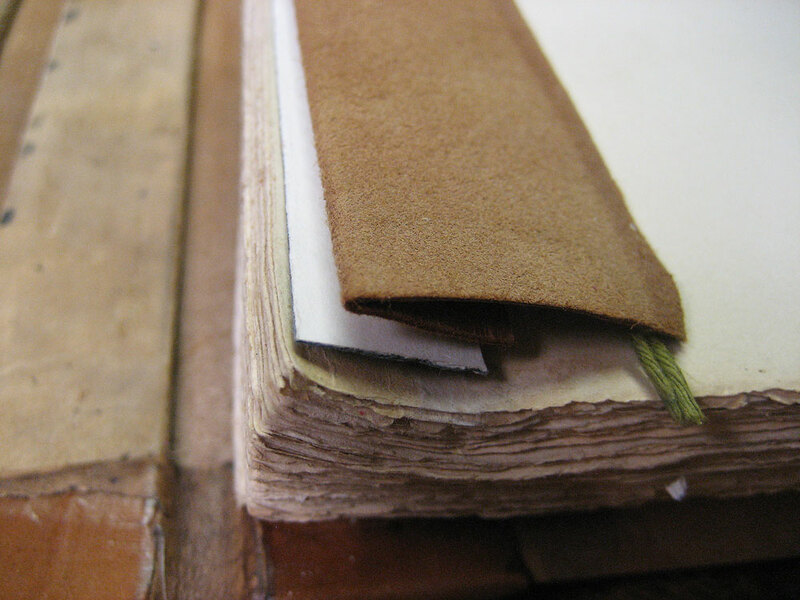 The mill made high quality writing and ledger paper, for many years using imported esparto grass from north Africa. It closed in 1982. For a history of the firm, see Michael Chater, Family Business. A History of Grosvenor Chater 1690-1977 (1977)." ........................ 1824. 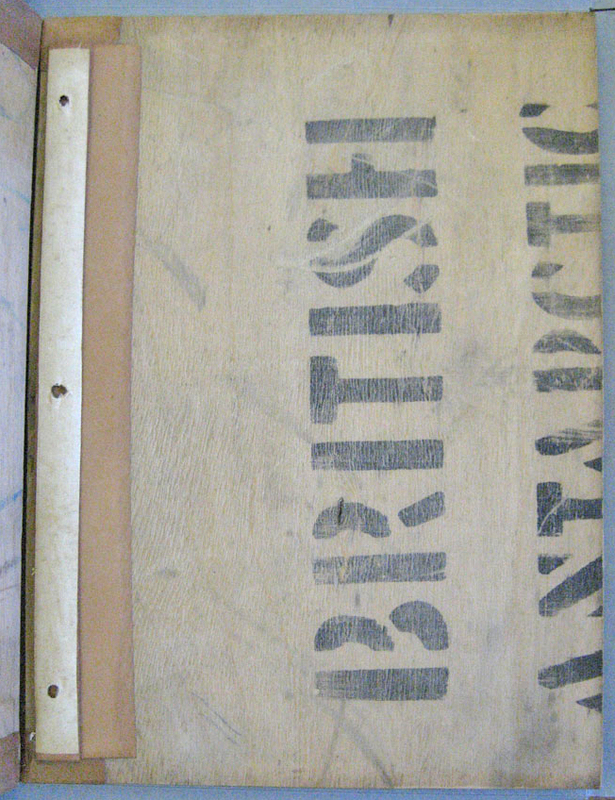 64 Richard Unsworth manufactured paper and millboards by patent machinery. Samuel Lewis in his Topographical Dictionary reported in 1833 that: 'a manufactory for paper by patent machinery has been recently established in which more than forty persons are regularly engaged'. 65 By 1844 there were two mills at work in Holywell --- Simpson, Tidyman and Company (patent) and Charles Stevens (Abbey mill). 66 The Parliamentary Return of 1851 however gives one mill, that of Greenfield with five beating machines at work. It was the largest mill in Wales at that time. In 1882 it was converted into a private limited company. Twelve years later on 30 November, the mill was destroyed by fire. 'The fire broke out about half past six o'clock in an extensive range of corrugated iron buildings, in which were stored some hundreds of bales of esparto grass and a large quantity of rags ... The building was practically destroyed, but by great effort the fire was prevented from extending to the main portion of the mill. The damage is roughly estimated at about £1,000, which is covered by insurance'. 69 Despite this setback, the mill's production of rag and esparto writing, envelope, news and printing papers increased steadily with modern machinery. Name of creator(s): Grosvenor, Chater & Co., Ltd. 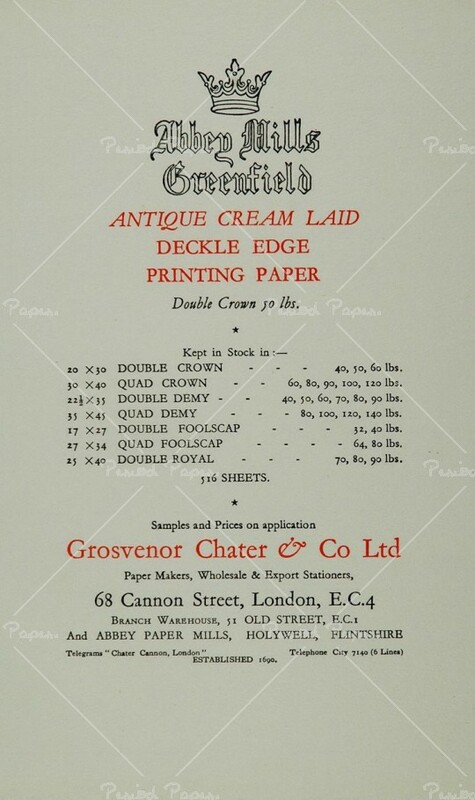 Administrative and biographical history: The stationery firm of Grosvenor, Chater & Co. was established by Robert Grosvenor, a wholesale stationer in Leadenhall Street, London. The firm was founded c. 1690 and is believed to be one of the earliest suppliers to the Bank of England, incorporated in 1694. In 1790, Eliezer Chater became a partner. The firm became known as Grosvenor, Chater & Co. in 1804. From 1765 to 1851, the headquarters of the firm was at 11 Cornhill. Later it moved to Cannon Street, where the firm remained until 1974. The firm acquired the Abbey Mill, in the Greenfield Valley, Holywell, Flintshire, in 1854. The mill, which had operated since 1770, produced high-quality writing and ledger paper. At one stage the Abbey Mill became a separate company, Grosvenor Chater (Abbey Mill) Limited. The mill closed in 1982, and in 1992, the Grosvenor Chater group of companies were dissolved. Scope and content: Records of Grosvenor Chater & Co., mostly relating to the Abbey Mill, 1827-1982, including letter books, 1897-1927; correspondence and papers, 1903-[1970s]; diaries, 1934-1980; paper samples, 1943-1981; photographs, 1880-1980; order books, 1886-1939; records relating to paper sales, 1899-1966; records of paper made, 1872-1975; stock books, 1890-1936; records of goods purchased, 1890-1979; statistics, 1920-1982; wages books, 1880-1956; account books, 1827-1978; and maps and plans, 1868-1964. The boards of the Aurora Australis were literally boards. These were fashioned by Bernard Day from the packing cases of the expedition. They were made of Venesta board, an early form of plywood. 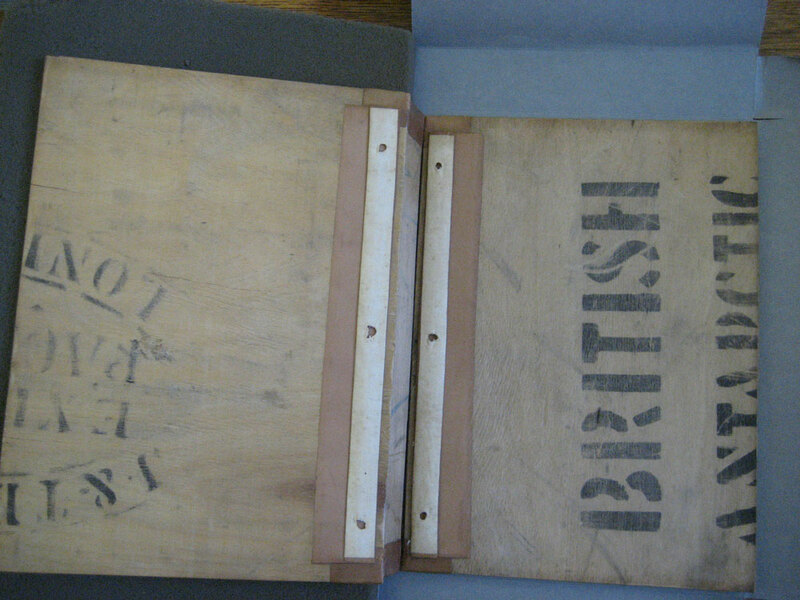 The cases were made by or for the Export Packers, J & T Bayley of London. Venesta attrib. as Venesta board etc. 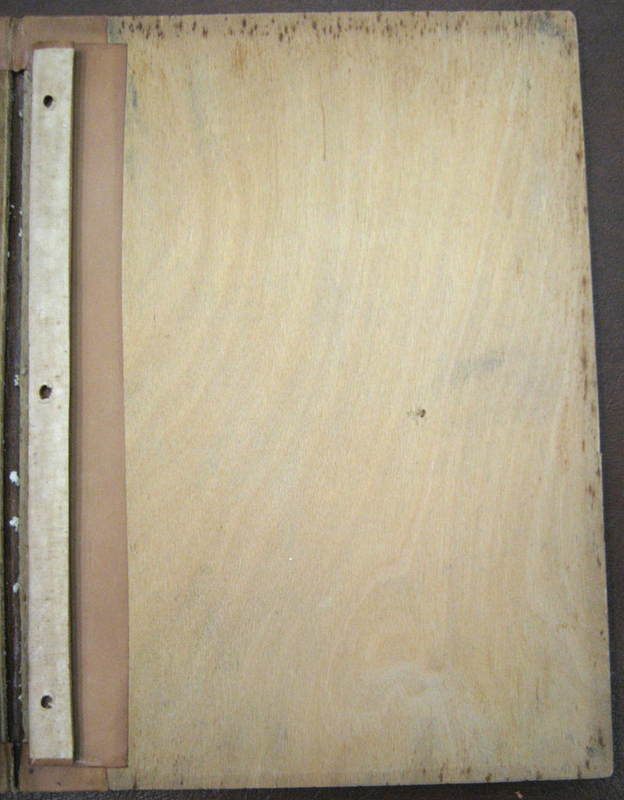 A strong, light and watertight three-ply wooden board which was used for packing cases on early expeditions. 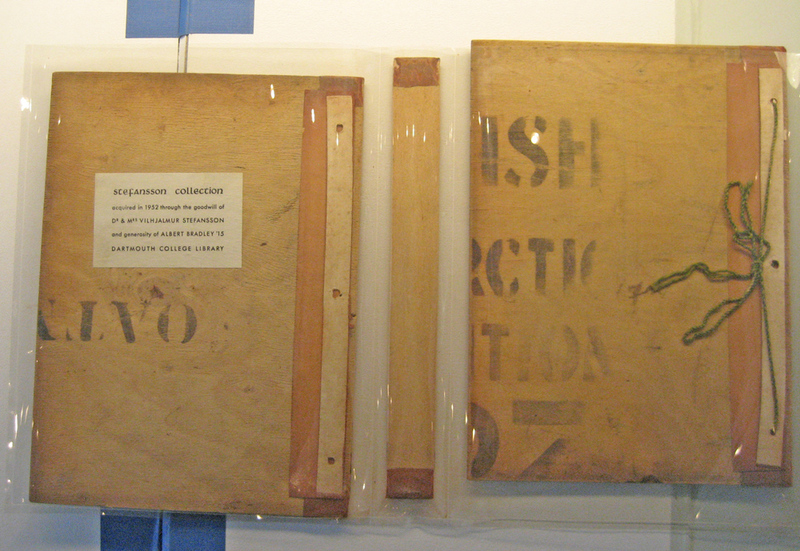 It is best known today for the cases which yielded boards for binding the South Polar Times [sic], the first publication printed and bound in Antarctica (see 1911 quotation). 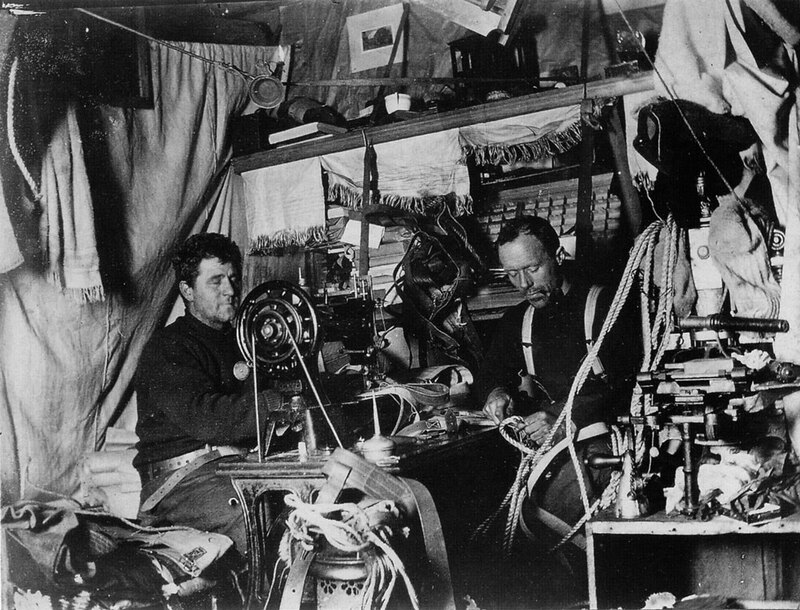 1909 Shackleton, E.H. The Heart of the Antarctic: being the story of the British Antarctic Expedition 1907-1909 William Heinemann, London: 127. It was probable also that the salt water would have damaged the fodder, and worked its way into cases that were not tinlined or made of Venesta wood. 15 Oct 1911 (Cape Evans) Wilson, Edward in King, H.G.R ., ed. 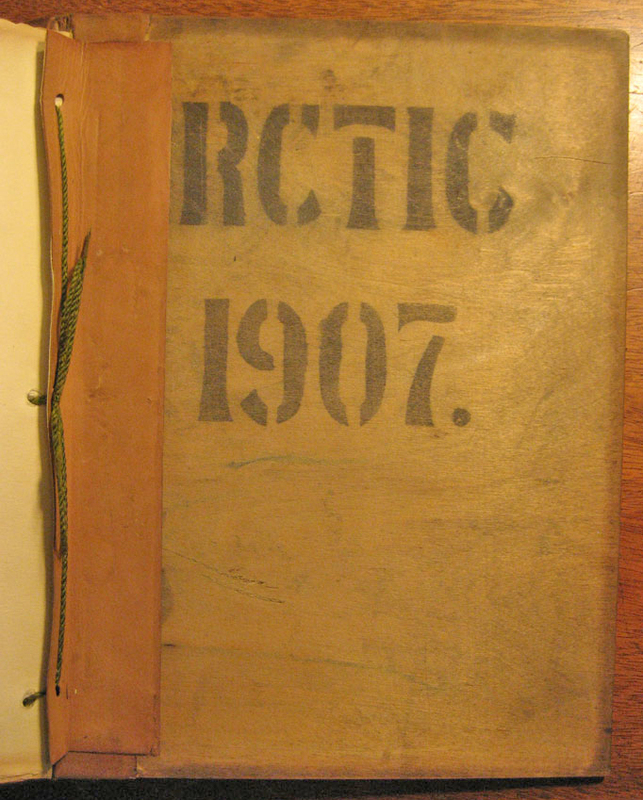 (1972) Diary of the Terra Nova expedition to the Antarctic 1910-1912 [Blandford Press, London: 181. Today the third volume of the S.T.P. [sc. South Polar Times] was published…The covers are beautifully done by Day—different each volume, but always made of Weddell Seal skin and Venesta board, partly plain and partly stained and polished. 1914 (Cape Adare) Priestley, Raymond E. (1974 repr.) Antarctic adventure: Scott's northern party Melbourne University Press: 109. The only thing that took time was the powdering of the biscuits. We first attempted to do this by pulverizing them with geological hammers in a venesta-case, but this method though very thorough was even more slow, and we finally resorted to the mincing-machine. Source: Hince, Bernadette, The Antarctic Dictionary; A Complete Guide to Antarctic English (CSIRO, 2000), p. 366. MESSRS. J. & T. BAYLEY, LIMITED, 18, CAMOMILE STREET. LONDON, E.C. ; and at 1, COUSIN LANE, DOWGATE HILL, E.C. That an immense amount of business passes annually through the hands of the London shipping and forwarding agents and export packers, must be realised by even the most casual investigator of commercial conditions and procedure. The older firms in this line of operations are particularly noteworthy as having proved their special fitness by long survival, and as bringing to the requirements of the present day knowledge and capabilities based upon exceptional experience. Of such firms one of the best known in the City is that of Messrs. J. & T. Bayley, Ltd, who can look back upon an uninterrupted association of no less than a hundred and thirteen years with the operations of export packing, shipping, and forwarding in which they are still so extensively engaged. Through all the changes that have marked the progress of commerce during that period, and differentiated the methods of former times from those which obtain today, this old and representative firm has held its place among the busiest of its compeers, and steadily consolidated those widespread connections through which it has come into close touch with many of the chief mercantile interests of the period. The name of Bayley, derived from Joseph and Thomas Bayley, who founded the business in 1790, has always been retained in the title of the firm; and it is not too much to say that it continues to stand in the business world for an efficiency of system and service in which merchants, shippers, and all concerned with oversea trade in general can repose entire confidence. That this is so, must be placed to the credit of those who, in succession to the original partners, have ably carried on the traditions of the firm. The continuance of so old a business in greater activity and more extended usefulness than at any previous period of its history, speaks eloquently enough for the policy and the capacity that actuate its present administration. A limited liability constitution was given to the concern in 1906, and of the company then incorporated the Governing Directors are Mr. C. J. Benson and Mr. J. M. Andrew, their colleagues on the board being Mr. E. W. Cook and Mr. J. Searle. Both Mr. Benson and Mr. Andrew have added public work to their business activities, and are well known in this connection in City circles, Mr. Andrew having served his Ward as a member of the City Corporation, while Mr. Benson is a Guardian for the City of London Union, and has also been since 1907 a member of the Metropolitan Asylums Board. Messrs. J. & T. Bayley, Ltd., possess facilities upon a large and very complete scale for the handling of merchandise destined for any of the colonial or foreign markets, and are regarded as one of the foremost firms of export packers, in which branch of operations they have always specialised. As shipping and forwarding agents they are in a position to afford the commercial commmiity every advantage in respect of rapid transit and low, inclusive charges, that a long and intimate acquaintance with the growth of international communications can ensure. Their connections are extensive and influential at home and abroad, and they are very favourably circumstanced in that they have, in addition to their headquarters in Camomile Street, a second establishment at Cousin Lane, Dowgate Hill, in close proximity to the shipping conveniences of the Thames. Telephones: (Camomile Street), 3833 and 3834 Avenue; (Cousin Lane), 2874 Central. Telegrams: "Presspack, Led, London." 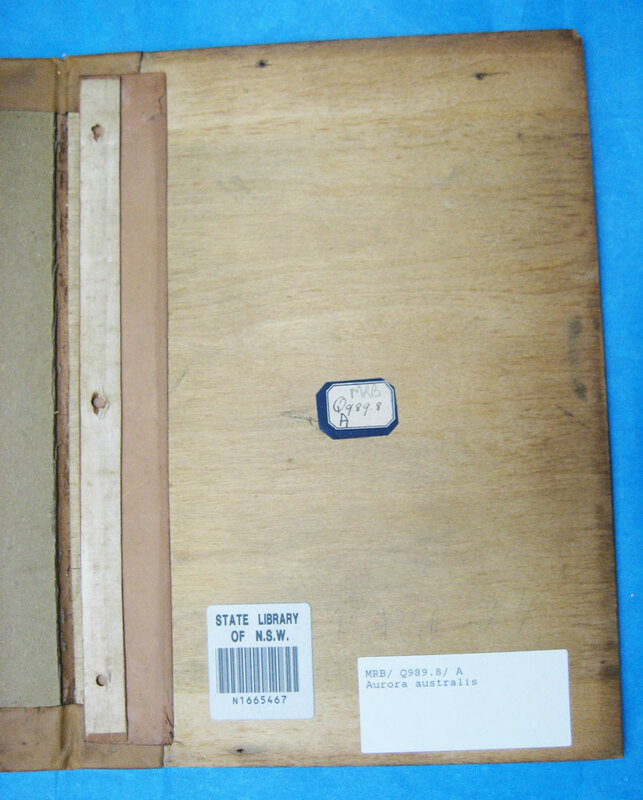 The thickness of the Venesta used for the packing cases and therefore for the Aurora was 3/16th of an inch (5mm), as measured from Copy 107 (Stephenson). The leather used in the binding of the Aurora has been variously described as seal skin, harness leather, calf, sheep, etc. It is quite a thin leather and couldn't possibly be harness leather which almost by definition would have to be thick and strong. If it were seal skin how would Day or others accomplish the tanning? It would seem next to impossible given the size of the hut and the various activities going on inside it. No, the likeliest explanation would seem to be that the leather was brought on the expedition expressly for the printing project. As is well known, Wild, Joyce and Marston received training from the printers, Causton & Sons, before departing for the south. (There is no mention of Day being included. One wonders whether he received any bookbinding training or just 'made do' once there.) Did the production team design and plan the Aurora before leaving? It would have been logical to do so. They had the paper, the presses, the ink and other supplies, so it would follow that they must or at least may have made up a dummy copy while still in England. If so, wouldn't that be a find? The various images below give insight into how the book was put together. 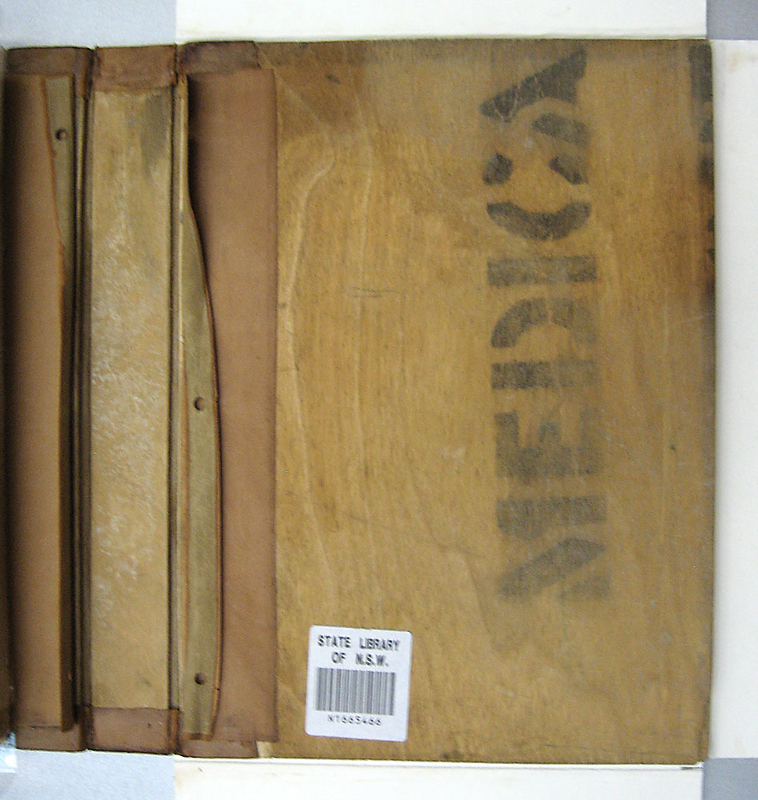 1) Three pieces of Venesta wood from the packing cases. (These were cut to size presumably with a handsaw. The cuts were very straight. The outer edges were chamfered probably by using a plane; a knife, rasp, sandpaper or a combination of all of these might have come into play as well. The chamfering on the upper cover of Copy 107. Two of the pieces were of the same size (10-3/4 inches—267mm—tall by 8-3/16th inches—208mm—wide, as measured from Copy 107, and made up the top and bottom boards, i.e. covers. 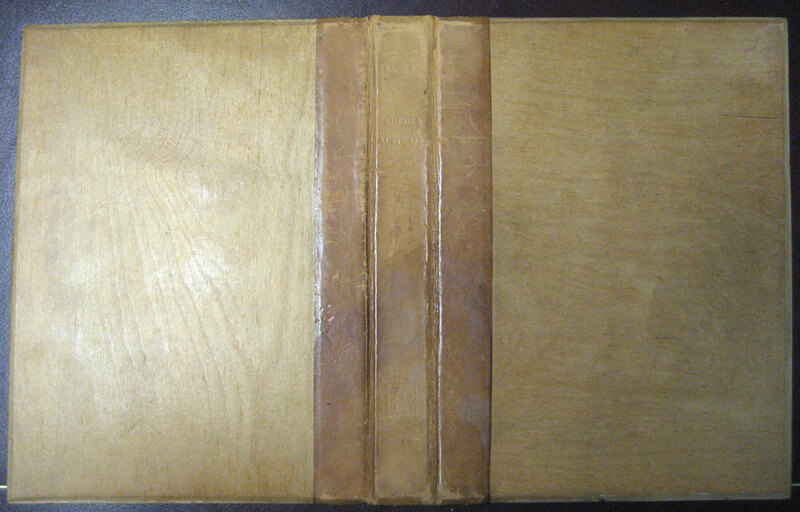 The third piece (the wood unseen when bound) made the spine and was covered with leather on the outside. 2) Three pieces of leather. 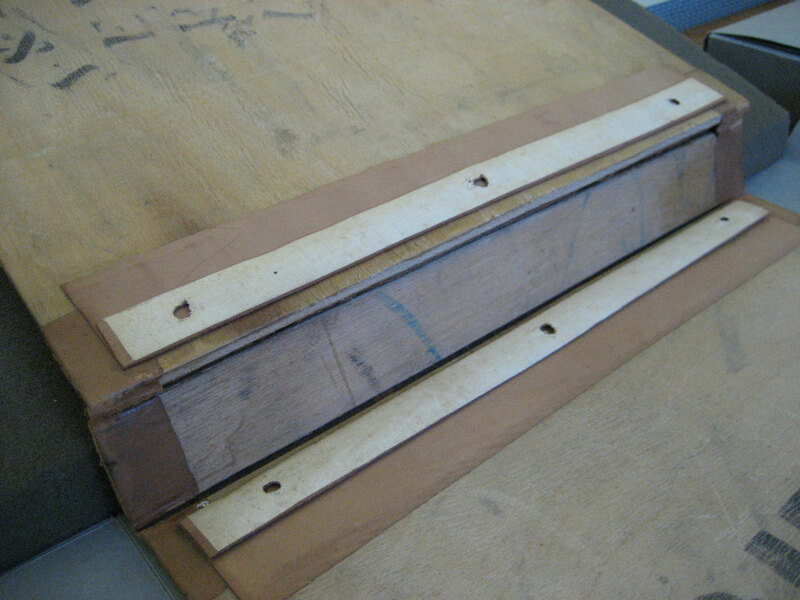 One piece was attached fully to the board making up the spine. 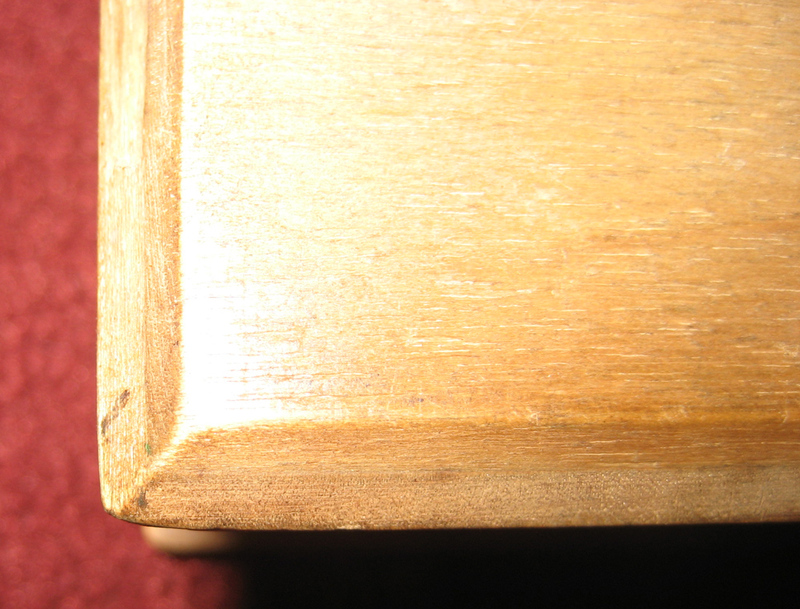 An approximately 1-1/4 inch—32mm—section of the same piece of leather was attached to the outside edge of each top and bottom board. An approximately 1/4 inch (6mm) portion (in some copies the portion is longer) of this piece of leather was folded over the head and foot of the covers and the spine and attached to the wood. This can be seen clearly in the two images below. 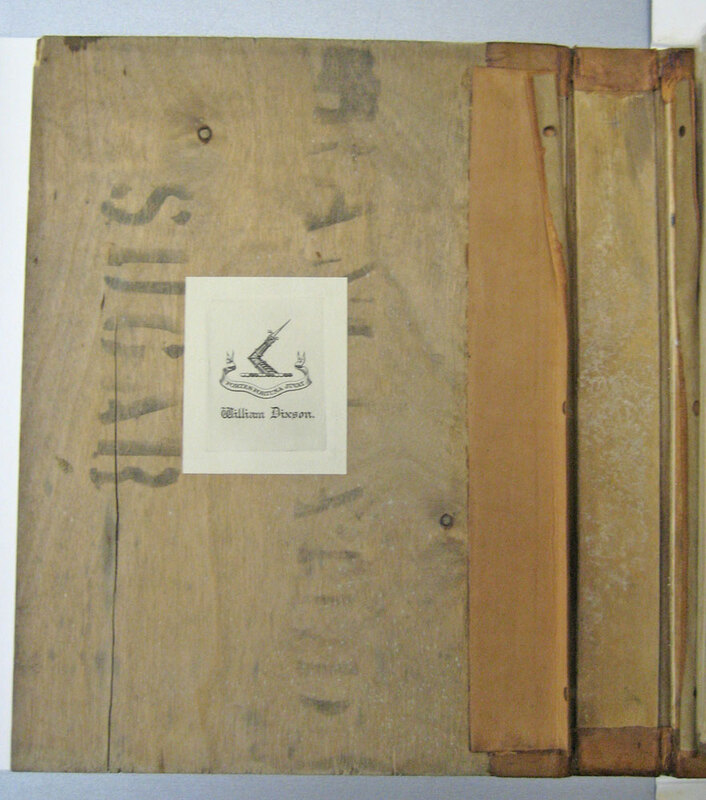 The title and the penguin logo may have been stamped on the spine at this point although possibly before the leather was attached to the boards. Once that was done, one leather strip 2 inches—51mm—wide by 10 inches—254mm—tall was attached to the inner surface of each cover from just below the head to just above the foot, running parallel to the gutter. These pieces were folded longitudinally and on the underside of the inner surfaces a white fabric was attached, no doubt for reinforcement. Through this and the underlying leather three holes were punched. This can be seen clearly in the two images below. At this point the binding was complete. 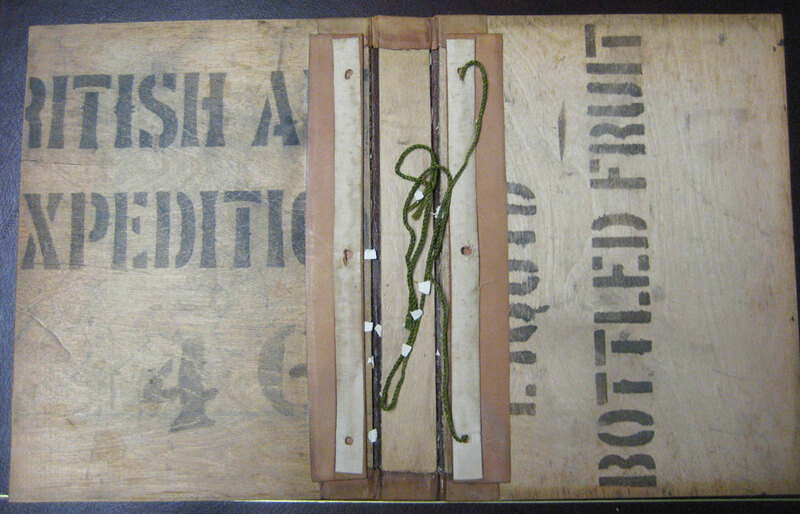 The contents—all single leaves and now with three punched holes along the inner edge—were inserted into the binding and all were laced together with a green cord, the fastening knot being at the back, i.e. between the final leaf and the bottom board. 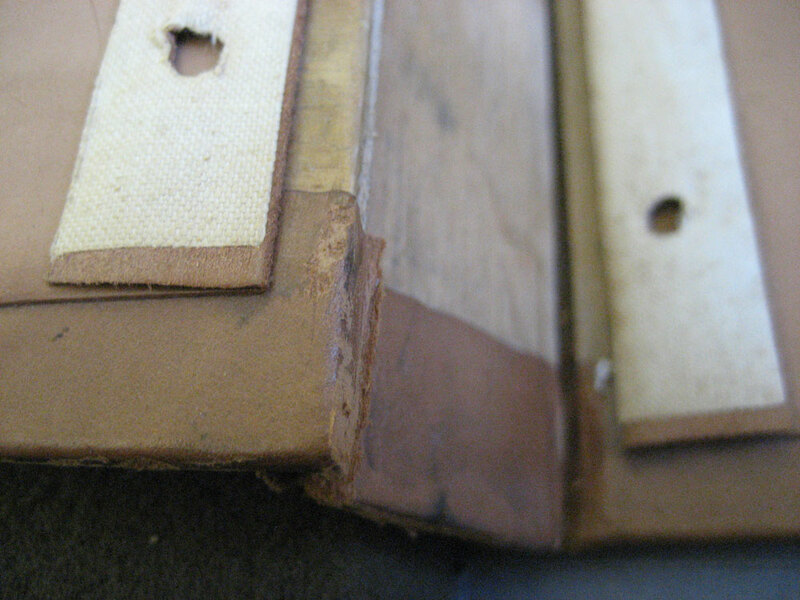 More copies than not have either been rebacked or the joints have split leaving the book in two or more separated pieces. The weak point was the joint. Also, some leaves almost always separate at the punch holes. But one thing that seems to have stood up very well in all copies is the attachment of the leather to the wood. Some sort of quite good glue was used, and like the ink, this must have required some heat in the cold hut. 22 & 23. State Library of N.S.W.